At the Kramer Law Firm in Orlando, Florida, we draft prenuptial agreements to address matters of property division, estate matters, financial support, and many other important future considerations should the marriage end in separation or divorce. A Florida prenuptial agreement, also called a “prenup” or premarital contract, is a carefully planned, well thought-out legal contract between two people who are to be married. Not every couple needs a prenuptial agreement. For those who do, it actually becomes an exercise in financial management and asset protection. You and your prospective partner-in-marriage take an honest look at how the two of you will approach finances and assets. You decide and declare how property, money and other assets will be distributed in the event of divorce, separation or death after marriage. Upon divorce or death after marriage, the State of Florida uses equitable distribution to determine the division of marital assets acquired during the marriage. This means that Florida courts determine and divide marital property and liabilities according to what is “fair,” or equitable for the divorcing party’s circumstances. With an enforceable Florida prenuptial agreement in place, you decide how marital property will be divided in the event of a divorce, and actually override the equitable distribution laws. 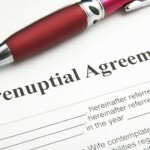 A Florida prenuptial agreement can cover as many or as few issues as you feel are necessary. What a prenup cannot address or in any way predetermine is parental responsibilities including child support and time-sharing rights. In a case where one person has substantial premarital debt, the other person may desire a prenuptial agreement to protect them from liability for that debt. For a business that was established before the marriage, many business owners use prenuptial agreements to declare any increase in the value of the business during marriage as remaining a non-marital asset. In a second marriage, a marrying couple may have grown children from their first marriages. Both prospective spouses are entering into the second marriage financially secure – they may have IRAs or brokerage accounts in place. In a case like this, these people may use a Florida prenuptial agreement to waive certain legal rights to their spouse’s assets (to which they would otherwise have been entitled in the event of divorce or death) in order for their assets to go to the children. To be enforceable, a Florida prenuptial agreement must be voluntarily signed by both parties, and each party must make a full disclosure of their assets and debts. As attorneys, we can only represent one individual within the marrying party. If we prepare the prenuptial agreement, your future spouse should have their own lawyer. In this way, each person has the benefit of independent legal advice. Prenuptial agreements undergo strict scrutiny and can be judged unenforceable if an argument can be made that either party did not understand what they were signing, or were in any way coerced to sigh the agreement. 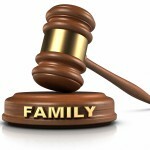 Only a family law firm with a deep understanding and active practice in Florida divorce law, estate laws, retirement plans, and Florida tax laws can most properly prepare the legal requirements of an enforceable Florida prenuptial agreement. If you are considering marriage and would like to protect your property and assets, schedule an appointment with a Florida prenuptial agreement lawyer at the Kramer Law Firm. If these issues were not addressed in a pre-nuptial agreement, they can also be addressed after marriage, in a Florida post-nuptial agreement.